On June 23, 2018 June 23, 2018 By felicitousfelixIn Are There Lesbians? This film is absolutely mental. I don’t think I’ve ever enjoyed a film quite as much as I enjoyed Good Manners. It was messy and basically two different films in one, but really that was all part of the fun. Oh and the whole thing was in Portuguese. In the first half of the film, nurse Clara is hired by Ana to look after her during her pregnancy, with the intention of also being a nanny once the child is born. Ana has been estranged from her family after it was revealed that the child was not that of her fiance. The two become closer and eventually fall in love. Unfortunately, Clara is recurringly awakened during the nights of the full moon by a sleepwalking Ana. Eventually, the child is born – horrifically clawing his way out of his mother’s stomach – in the form of the cutest baby werewolf. 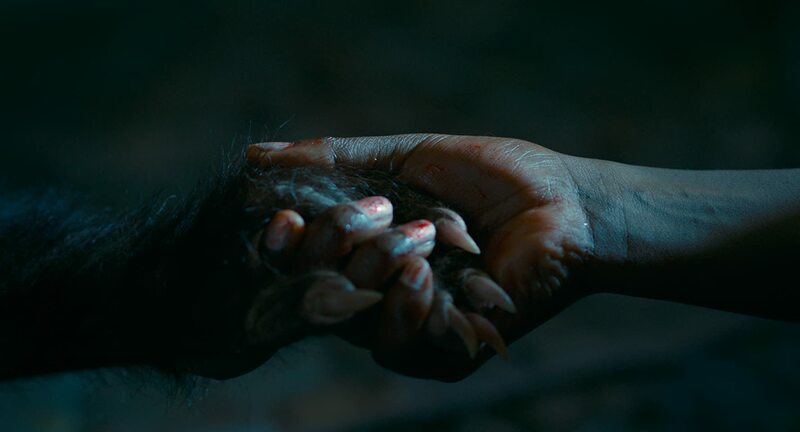 The second half of the film takes place around ten years later where Ana’s son, Joel, is raised by Clara who is wary of letting him eat meat and going out on nights of the full moon. Unfortunately, Joel is at that age where he is questioning everything his mother says and does and on the night of the full moon runs away with a friend in order to find his father. Things go about as well as you might expect and the town comes after Joel and Clara. The relationships are really what make this film. The burgeoning chemistry between Clara and Ana is so soft and beautiful, and the relationship between Clara and Joel results in the most breathtaking final scene you can imagine. There are rarely more than two characters on screen at once, creating an intimate space that only barely includes the viewer. There are moments of laughter contrasted against terror and violence throughout the film. I watched this in the cinema as part of the Sydney Film Festival and while there were some genuinely funny moments, causing laughter from everyone, a lot of the laughter is found in the relief following the horror. And while this is a beautiful film, there is some pretty violent horror to be found. That being said, I did feel like it was mostly for shock value, and to remind you that you are watching a werewolf film. The only part that I did feel truly terrified for the characters was towards the end when the mob breaks into Clara’s house. 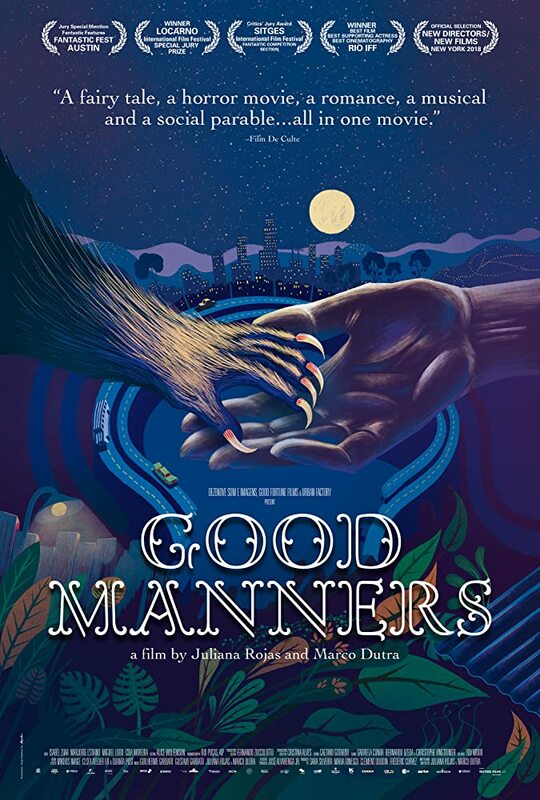 Good Manners was a truly enjoyable film, that really took me by surprise. I was expecting a fun lesbian werewolf film and instead I was blown away by the delicate balance of surprisingly sweet relationships. If you have the chance to see it, it is a chance you should take.